Almudena Rebuelta Domecq is without a doubt one of the most formidable voices in the Spanish design scene of today. 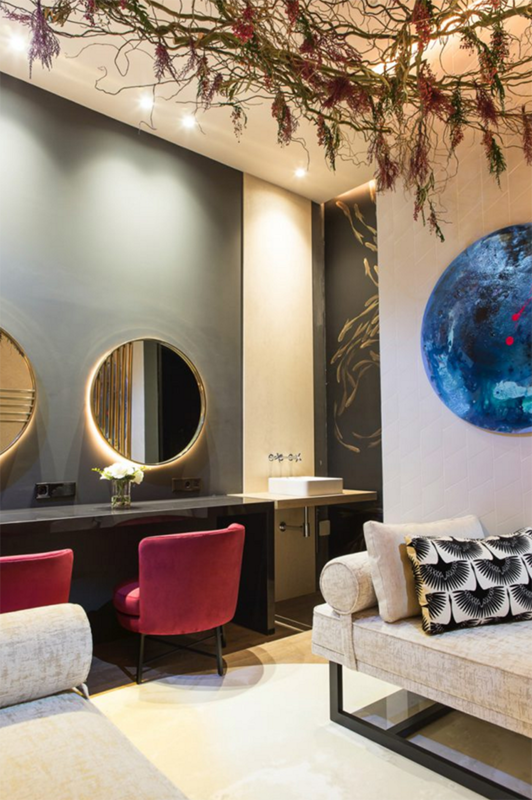 Almudena has a unique and inherent quality in all of her interiors: they are contemporary, with a distinctive warmth reflected in the use of noble and sustainable materials mixed with sophisticated furnishings. 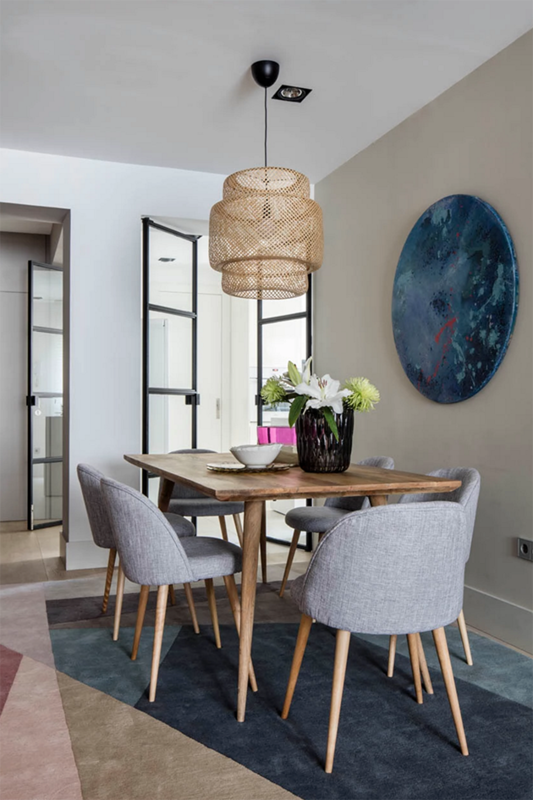 Almudena’s spaces are neutral canvases that host personality, comfort, function and beautiful art pieces that explode to reveal her amazing signature style. For Almudena, understanding her client’s needs is the foundational stone to build all her designs from. Her adventurous spirit is more than evident in the uniqueness and strength of her spaces. Every space she has designed somehow revels this sui generis synergy that only she know how to bring into her projects. 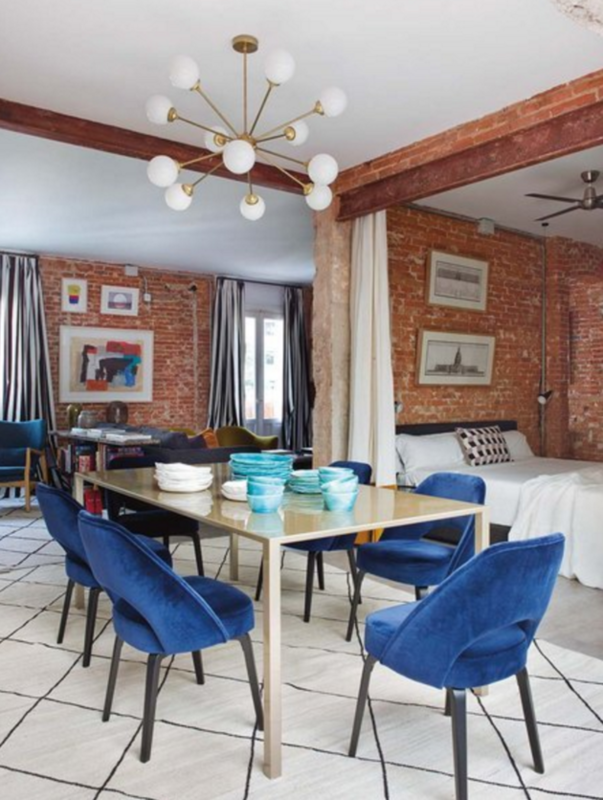 Almudena’s work has been featured in numerous magazines such as House Beautiful, Interiores, Nuevo Estilo, Elle, Mi Casa and many other publications revealing why everyone that sees her spaces wants a piece of them. As soon as I saw Almudena’s work, I wanted to have an interview with her and have the opportunity to learn more about her unique approach to design. That day is finally here, and I am so thrilled to share Almudena’s thoughts on design with you. I invite you to read and discover this talent from Spain! Almudena Rebuelta Domecq – When I was a little girl, I remember I used to love to design and personalize the dresses for all my dolls. I used to cut little pieces of distinctive fabrics that I found around the house to make my new designs (lol); It would be fun to see them now and what I did then. 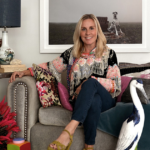 Almudena Rebuelta Domecq – I will define my style as classic/contemporary. I love to create spaces that are minimal, but with a unique warmth to them. Of course, without loosing sight that these spaces need to be comfortable, and functional as well to satisfy all my clients’ needs. Iván Meade – You had the opportunity to work with some of the most renowned interior designers in Spain: Don Pascua Ortega and Belén Domecq. What was the best lesson you learned from them? Almudena Rebuelta Domecq – Working with them was an unbelievable experience and I learned a ton from the opportunity. From Pascua Ortega I learned his capacity to distribute the spaces. He is a genius at doing that! And to always take care of the illumination, which is really important. He always does this in a very theatrical way, creating spaces that are almost like a well conceived stage. 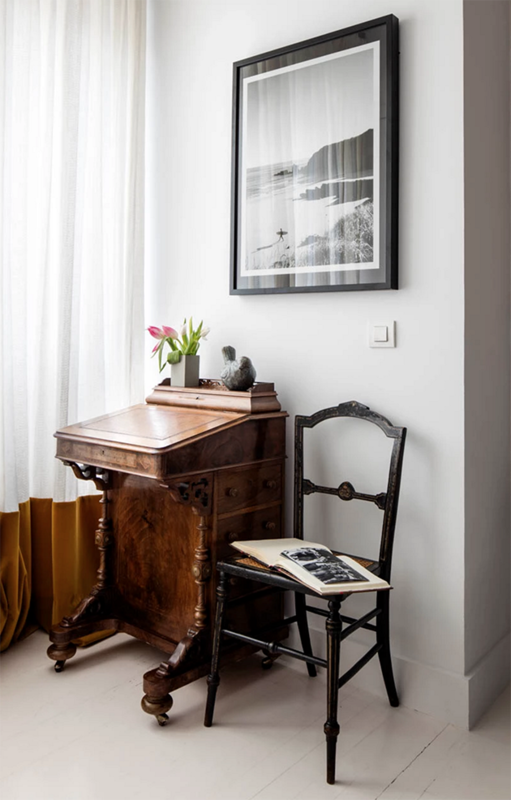 I had the experience to work with Belén Domecq often, she has thought me many things, but one that has stuck with me, is to look at the spaces with a very critical eye and edit the rooms, creating spaces that have the necessary, and nothing more. Almudena Rebuelta Domecq – My advice to them will be not to be afraid – Always take risks while designing as this is the only way to be original and create a uniqueness to make you stand out. 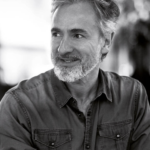 Iván Meade – What is the value of design for you? Almudena Rebuelta Domecq – To me, a great design equals that delicate balance between price and functionality. A good design doesn’t have to answer to any aesthetic criteria, but it does need to be functional. To me, the value of design is in the design itself, a design that will improve any aspect of your everyday life. Iván Meade – I believe your projects are influenced by your travels and a sense of roman classic style mixed with warm, contemporary minimalism; a new take that responds to your personal style. How do you incorporate the clients’ needs and taste under your own design philosophy? 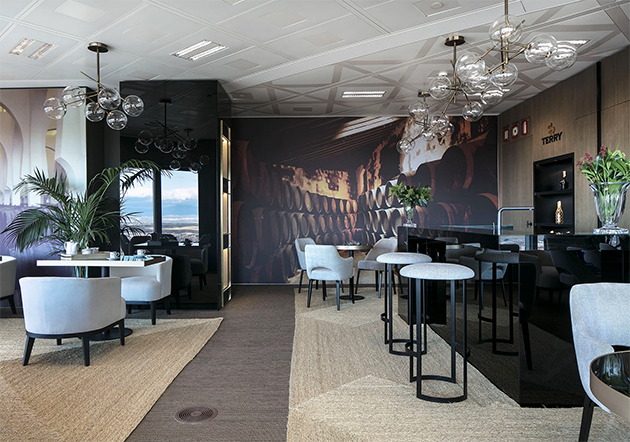 Almudena Rebuelta Domecq – When you are designing a space it is very important that you know the client, taking in consideration first their personality and then their lifestyle. At the end, your style sensibility just pops creating a signature style that reflects your clients’ needs. 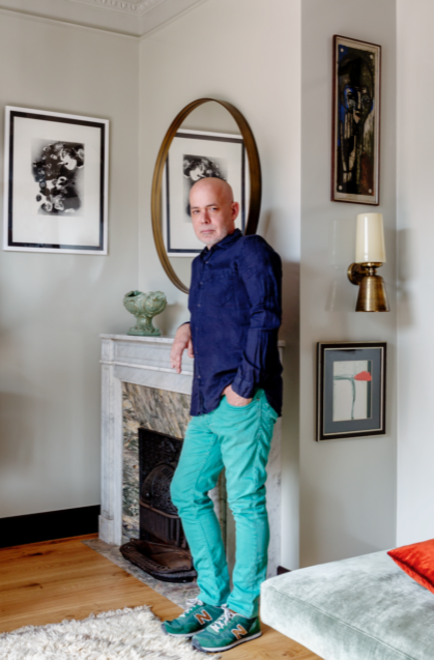 Iván Meade – With this philosopy in mind – What does your home say about you? Almudena Rebuelta Domecq – My home is very comfortable and practical. To me, that is the essence of good design. 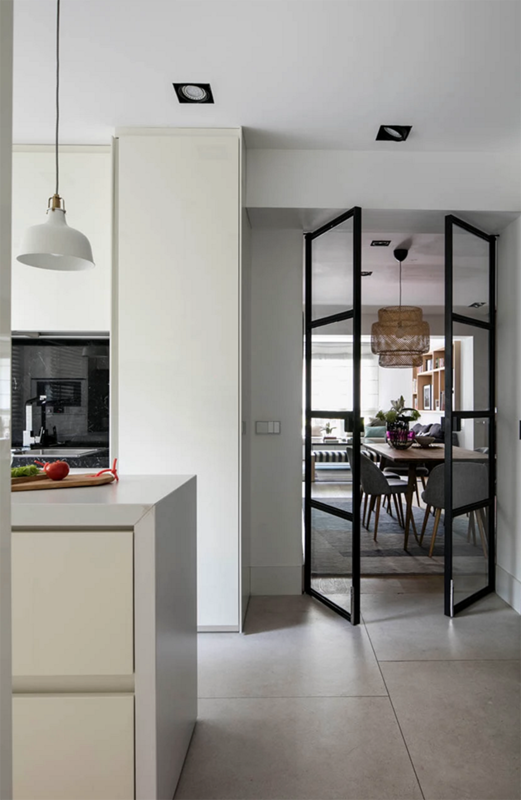 The design has to create a synergy between the inhabitant’s needs and aesthetics that reflect their personality. It is like in fashion, you can own the most stunning stilettos, but if they destroy your feet you cannot justify the fact that they are failing you! 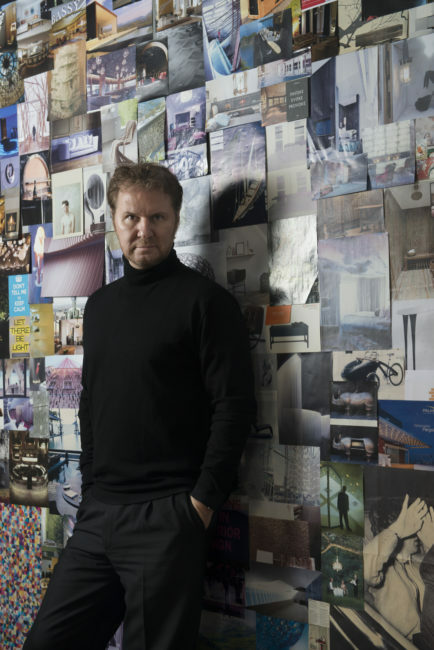 Iván Meade – What is your favourite space in a home, and why? Almudena Rebuelta Domecq – I love to design kitchens and bathrooms. When these spaces have a natural design sensibility and they are harmonious, they become spaces that are comfortable and pleasant. A good kitchen always becomes the center of the home’s function. I love when you invite your friends over and everyone ends up congregating around an island in the kitchen chatting. A bad kitchen design doesn’t even invite the pleasure to eat or cook in there. A side of this, a great bathroom design, even more if you have the space to have a tub. It is the perfect environment to invite relaxation, or contemplation… basically a domestic spa. I am not a person that loves taking baths, but lately I have been taking them as an opportunity to pamper myself and I am enjoying this ritual tremendously. Iván Meade – The selection of your furniture pieces is always exquisite, almost sculptural – How do you select your furniture pieces? Almudena Rebuelta Domecq – We like to use a few unique and memorable pieces and take care of all the elements needed to make that particular selection stand out. 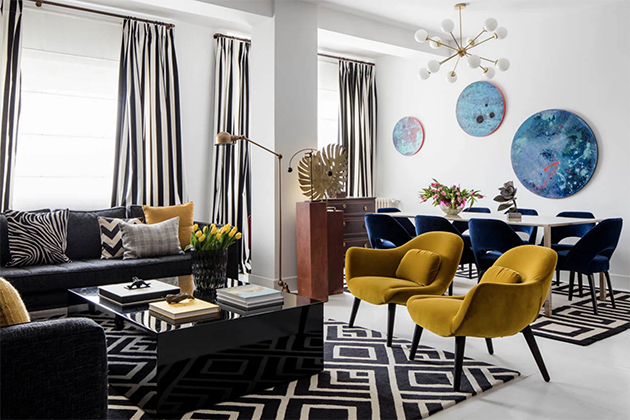 If we use a piece with lots of personality, the rest of the room is very neutral. 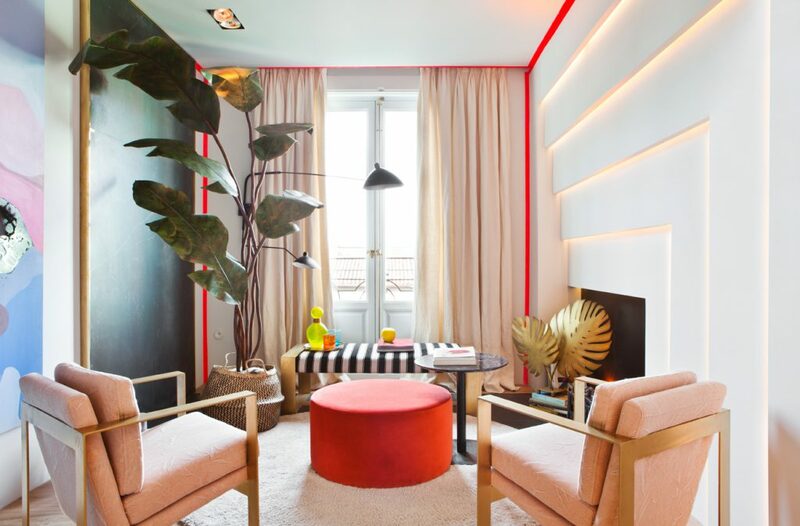 Another way to integrate the furnishings is with colorful cushions that reflect the art in the room. The art itself is the colour. Iván Meade – Another aspect that I find very interesting in your projects, is the fact that you are a master in playing with light and shadows creating not just beautiful interiors, but interiors that have natural textures that play with light. How do you plan this unique aspect of your work? Almudena Rebuelta Domecq – We put a lot of care into the illumination of our projects, we like this element in our designs to be very theatrical. We love to use indirect lighting that showcases the architectural volumes of the space, adding a visual warmth while softening the lines of the space giving you a very unique atmosphere. 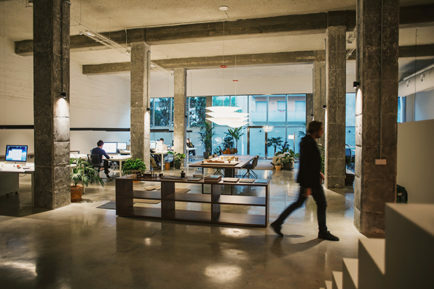 A single space can have different combinations with light generating many visual environments. For instance, a living room being a space that requires natural and artificial light can be an opportunity to generate many plays with light and shadow and transform it in many ways. Iván Meade – The art is a very important aspect in your projects and I have noticed that you incorporate this with the upholstery of your furniture pieces. What is your process to select the art in your designs? Almudena Rebuelta Domecq – For us, the art needs to stand on its own, basically broking the rules of design here. This is the main reason we create spaces that are very neutral and timeless, to give an opportunity to the art to define the space. An art piece needs to have a strong language, be colourful and add a unique vibrancy to inject personality to the room. 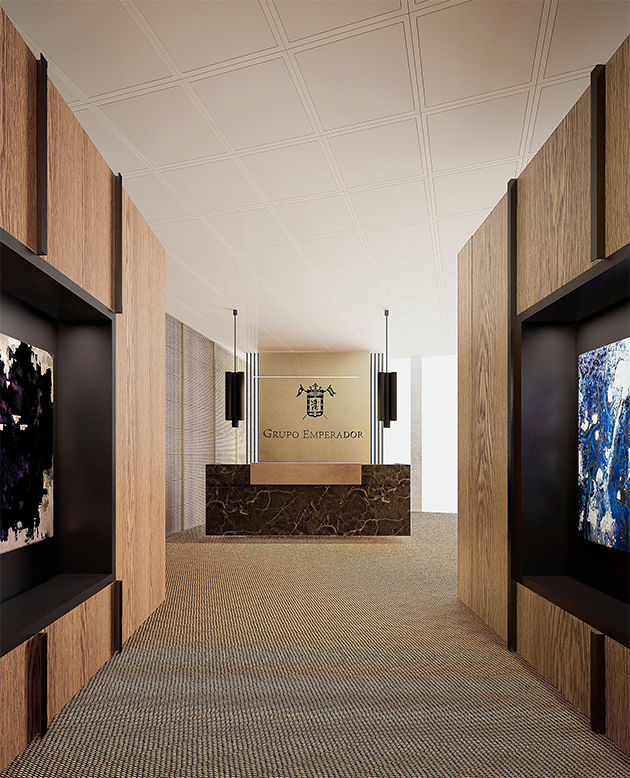 Iván Meade – Your commercial project Torre Espacio is very interesting, you are combining a commercial space with the world of wine and jeréz – What was the process to conceive this project and make the client’s product the star? Almudena Rebuelta Domecq- Since the beginning of the project it was very clear for us that the star of the space needed to be the product itself. 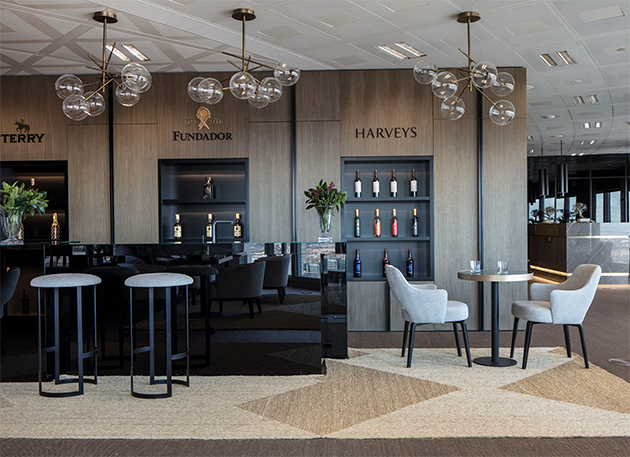 At the end of the day, it is an office/showroom and we wanted to create a very unique space to make their product stand out from the competition… This was the main reason why we structured the project around the colours of the the wine itself. We introduced new elements like the area rugs, the reflection on the glass in amber tones and the american oak wood tonalities. A reflection of these materials created a very unique synergy between product and space. 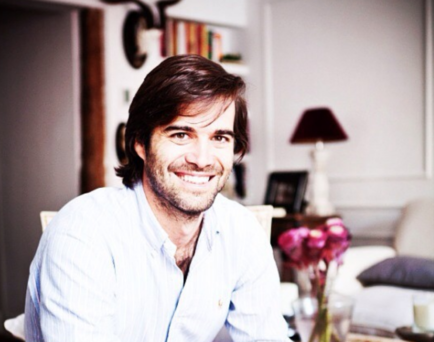 Iván Meade – What kind of projects do you prefer to work on, residential or commercial, and why? Almudena Rebuelta Domecq – We like to keep things interesting around here! – The residential projects need more time as the clients get more involved in their spaces and enjoy to be part of the process. On the other hand, the commercial projects need to be faster and efficient. 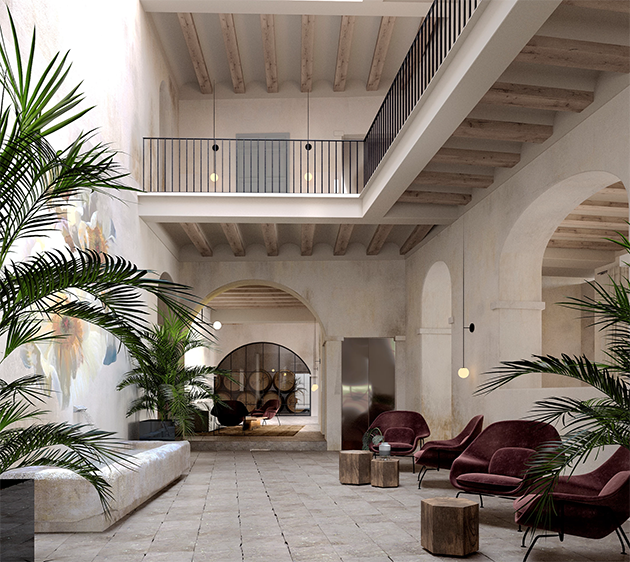 Our specialty is in residential design, but we are always open to new challenges as we are currently working on a boutique hotel in Jerez, Spain and a beautiful country home/cellar in Galicia, Spain. 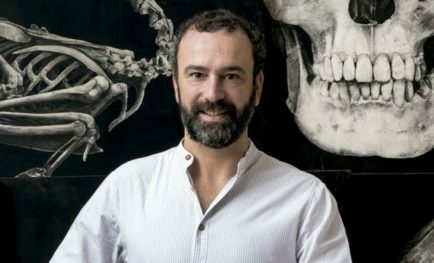 Iván Meade – What is next for Almudena Rebuelta Domecq? 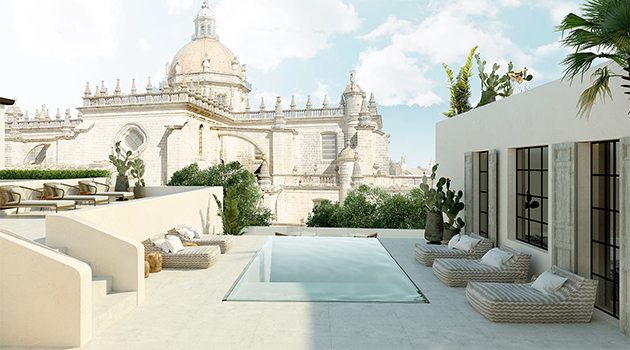 Almudena Rebuelta Domecq – Right now we are in an incredible place as I just mentioned we are working on a boutique hotel in Jerez, a really amazing architectural country home in Galicia. For the hotel, our client is the international well renowned winery González-Byass. For us, this an amazing opportunity. We are so excited in all aspects: personal and professional. We have a year ahead of full of amazing projects! 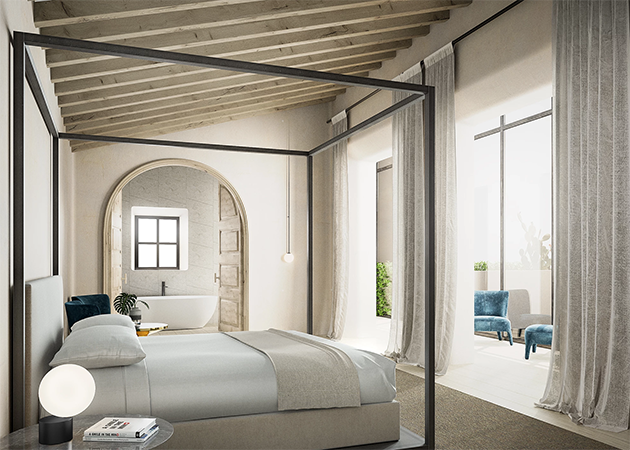 Almudena Rebuelta Domecq – I would love if my legacy is a collection of simple, but well executed design spaces. Spcaces without complexities. Designing homes that are homes, not catalogue rooms. 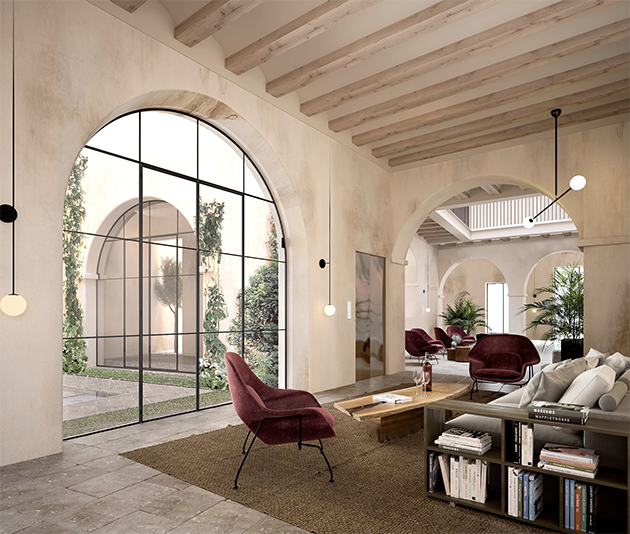 Not following trends, on the other hand, creating spaces that are timeless, and in which the quality is evident using noble materials like wood, iron, natural fabrics and products that are sustainable.